Want it by Thursday 25th April? Order within 1 day, 22 hours, 50 minutes and choose Special Delivery 24 Hour Delivery (Signature Required) at checkout. Now with a new wide fit style! The perfect boot to suit any occasion the Heeled Regina from Fairfax and Favor is an extended version of the classic Regina with a 5cm Cuban heel. Adding extra elegance and lift to any look. Creating using a soft suede exterior and lined with luxurious leather these boots feature a 6cm elasticated stretch panel at the rear. This enables the boot to fit perfectly around your calf. Designed with a memory foam insole and a leather/rubber composite sole with creates ultimate comfort and longevity. 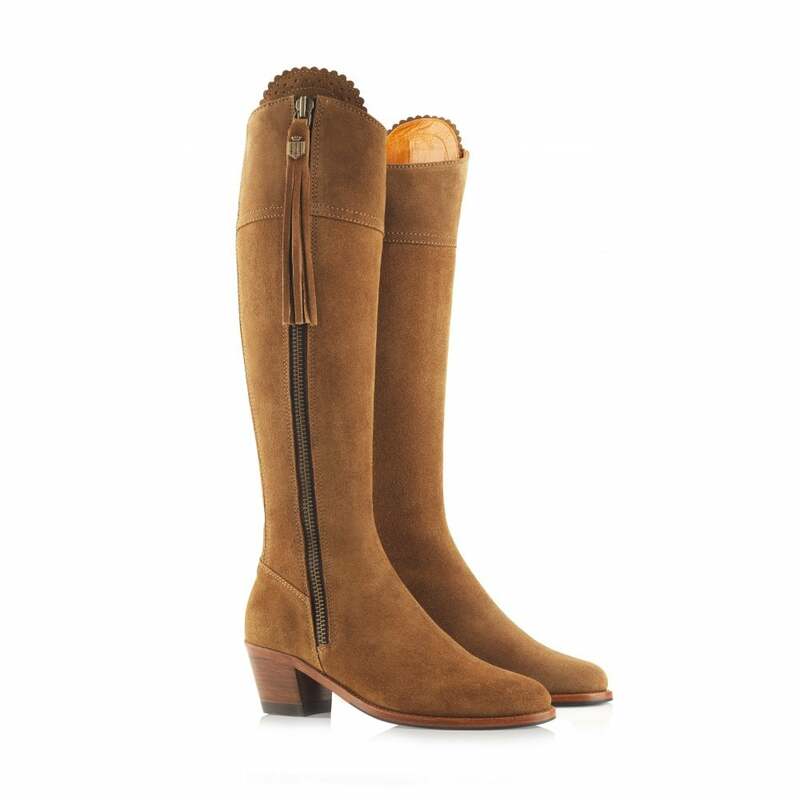 Perfect with jeans or dresses these boots are sure to be an iconic item in your wardrobe.